A stylish take on our apron in poly/cotton blend twill. 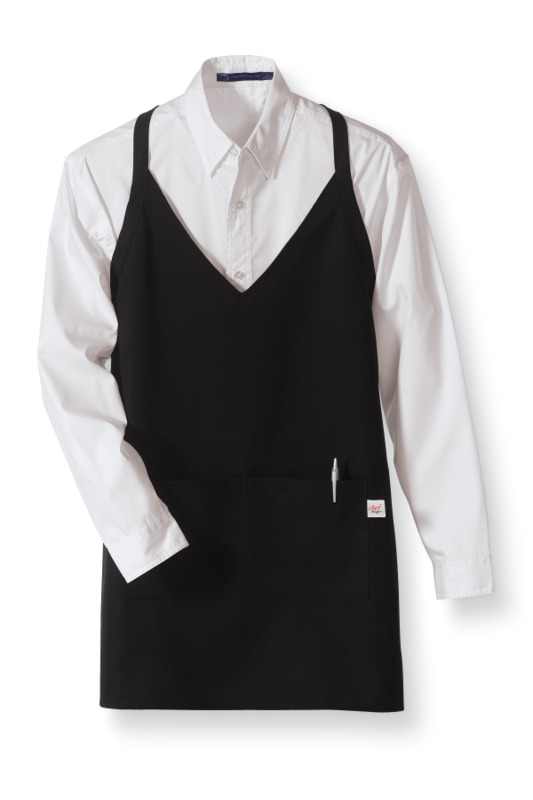 Featuring an adjustable strap closure and center divided patch pocket, our Tuxedo Apron is tailored to serving up what matters. Pocket: Center divided patch pocket. Left and right pocket sections 7" wide.